The Department of ECE was started in the year 2015. It strives for excellence in imparting technical knowledge, skills and ability to its students, not only theoretical but practically also. The goal of the Department is to ensure modern technical knowledge to be transformed to products which helps the society to the greater extent of happy life through our engineers who are prepared not only to become globally accepted employees but also make them to become entrepreneurs. The Department of ECE, has got well established proctor and student mentoring system, parents interactions, technical activities throughout the academic year. The students are involved in doing projects regularly in every semester along with final year projects, students are insisted to undergo at least one internship during their engineering program. The vision of ECE Department is to become pioneer in higher learning, research and to produce unique solution to societal needs. •To provide excellence in education, research and public service. •To provide quality education, to make the students entrepreneurs and employable. •Continuous up gradation of techniques for reaching heights of excellence in a global. Mrs. Roopashree K.N is presently working as Professor and In-charge Head of Department in the Dept. of Electronics and Communication Engineering. She obtained her bachelor’s degree in Electronics and Communication Engineering, GSSIETW, Mysore. And Master’s in VLSI Design and Embedded System from SJCE, Mysore. Her areas of interests are Signal Processing and Analog Electronics, Digital Electronics, Microprocessor and Microcontroller. She also done project on Optical Network and Embedded System and entitles as “Analysis of Fault tolerant optical network”. And “Implementation of Anti-Collision and Detection system using GSM and GPS.”She has also attended number of workshops on MSP430, Cadance, National instruments MULTISIM, ARM processor, Latex, Embedded System and Linear Algebra on Signal Processing. Mrs. NANDINI S P is presently working as Professor in the Dept. of Electronics and Communication Engineering. She obtained her bachelor’s degree in Electronics and Communication Engineering from SSEC, BANGALORE and Master’s in Digital Electronics and communication systems from VTU PG CENTER, Mysore. Her areas of interests are Digital Electronics, Digital communication, wireless communication, Telecommunication and Networking, Network Security. She has also done projects on wireless communication. She has published paper entitled “Multilayer Hierarchical clustering of sensor Nodes used in Wireless sensor Network”. In international journal. And same paper has been published in National conference. This was held at BGSIT. On “Signal processing, Communication and computational research”. She has attended conference on “signal processing and its applications” held at VTURC MYSORE. 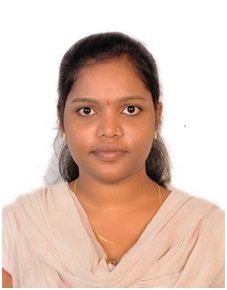 She presented many technical papers which are, “FPGA” on national level technical symposium held at HOSUR from Anna University, Coimbatore, cloud computing, which was held at SSEC on LI’VAZ-09, and Blue Eye Technology at SSEC on LI’VAZ-10 and many more. She also attended faculty development program held at NIEIT, Mysore. She also achieved 100 percent result in various subject handled in the department of electronics and communication engineering. With all these she also got “ELITE” NPTL online certification for successfully completing the course “Estimation for Wireless Communications MIMO or OFDM cellular and Sensor Networks’’. And also she attended online NPTL courses on Probability theory, information Theory and coding and English language and many more. Mrs. SHYLAJA T.M is presently working as Professor in the Dept. of Electronics and Communication Engineering. She obtained her bachelor’s degree in “Electronics and Communication Engineering” from “Ghousia college of Engineering, Ramanagaram” and Master’s in “Digital Communication and Networking” from “T John Institute of Technology, Bangalore”. She has a total experience of 2.5 years in teaching. Her areas of interests are digital communication, analog communication, Digital Electronics, communication networks and Network security. She has also done project on Network security entitled “An unobservable Privacy Preserving Routing Protocol Scheme for Mobile Adhoc networks” and published a paper on the same project in New Horizon College of Engineering, Bengaluru. She has also attended number of workshops on Cadance, digital signal processing, power electronics, ARM Embedded System and Linear Algebra on Signal Processing. Mr. SOMASHEKARA G is presently working as Professor in the Dept. of Electronics and Communication Engineering. He obtained his bachelor’s degree in Electrical and Electronics Engineering (E&EE) from SJCE, MYSURU and Master’s degree in Power Electronics from Dr. AIT, BENGALURU under VTU Belagavi. His areas of interests are Power Electronics, Analog Electronics, Basic Electronics, Signals & Systems, Basics of Electrical and Electronics, Electrical Power Generation, Transmission and Distribution. He has also done projects on Multi-Level Inverter. He has published paper entitled “Simulation of Hybrid 9-Level Inverter with Reduced Number of Power Switches For R And RL Load” in The 2nd International Conference Reliable Technologies In Power & Energy Systems (RTPES-2017) held in AMC Engineering College, Bengaluru. Also he published papers on “Simulation of 11-level Inverter with Reduced Number of Power Switches for R and RL load”, in the International Journal of Advanced Research in Electrical, Electronics and Instrumentation Engineering (IJAREEIE), Vol.06, Issue 5, May 2017, ISSN 2278-8875, | Page no 3458-3467| and “Simulation of Hybrid 9-level Inverter with Reduced Number of Switching Devices for Grid Connected Load”, in the International Journal of Innovative Science, Engineering and Technology (IJISET), Vol.04, Issue 5, May 2017, ISSN 2348-7968, | Page no 315-320|. He attended various number of workshops on “MATLAB Simulation”, “Industrial Automation using PLC” and LABVIEW software held at Dr. AIT, Bengaluru. He also attended Faculty Development Program held at Dr. AIT. He also Worked as intern on Industrial Automation in Bosch Rexroth India Ltd., Bengaluru. 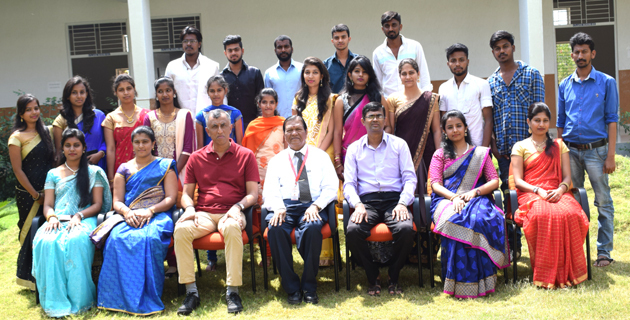 He also attended Faculty Development Program on “Introduction to DSP Laboratory and MATLAB Simulink” held during January 2018 at NIEIT, Mysore. Ms. HARSHITHA C is presently working as Professor in the Dept. of Electronics and Communication Engineering. 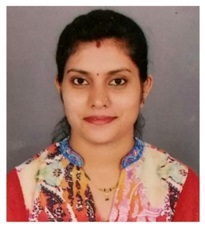 She obtained her bachelor’s degree in Electronics and Communication Engineering from BGSIT, B.G.Nagar and Master’s in Digital Electronics and Communication Systems from VTU PG CENTER, Mysore. Her areas of interests are Digital Electronics, ARM Controller and Embedded Systems, Digital Switching Sytems.She has also done projects on VLSI. She has published paper entitled “Design and Implementation of 64 bit Multiply and Accumulate Unit” in ISRASE and IEAE digital libraries”. She has attended National Level Conference held at Bahubali College of Engineering. Mr. Avinash Nayak is presently working as Assistant Professor in the Dept. of Electronics and Communication Engineering. 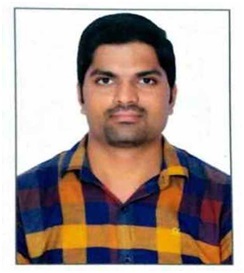 He has obtained his bachelor’s degree in Electronics and Communication Engineerring from PES College of Engineering Mandya and Master’s degree in Computer Networks from National Institute of Engineering Mysuru. 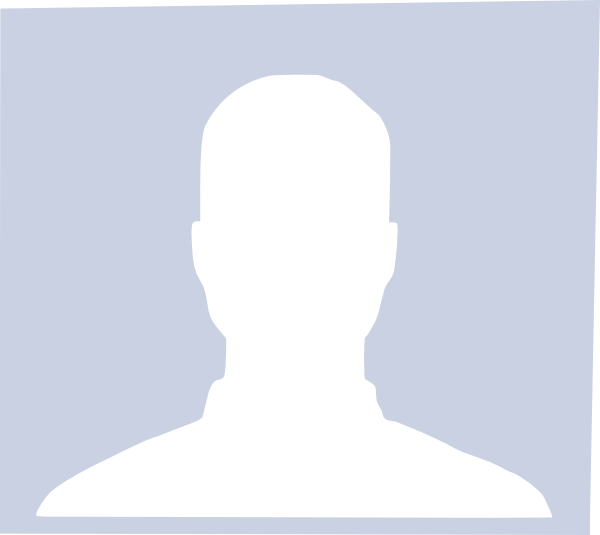 His areas of interests are Computer Networks and Wireless Communications. He has past working experience in the field of research and training and has trained the project which have got selected for funding from KSCST (Karnataka State Council for Science and Technology). He has also organized and attended number of workshops which are held during the course of research and training. Mrs VAMSHA DEEPA N is presently working as Professor in the Dept. of Electronics and Communication Engineering. 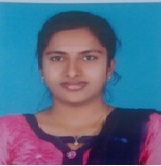 She is pursuing Ph.D in mobile communication and speech signal processing under VTU. She obtained bachelor’s degree in “Electronics and Communication Engineering” from “Bahubali college of Engineering,Shravanabelagola” and Master’s in “Biomedical Signal Processing and Instrumentation” from “SJCE Mysore”. She has a total experience of 6 years in teaching. She is a life member of Indian Society of Technical Education(MISTE).She has published 15 papers in national and international conferences at various places in India. She has also attended faculty development workshop conducted by wipro technologies under Mission 10X scheme. Her area of interest includes image processing, signal processing , Arduino and MATLAB.